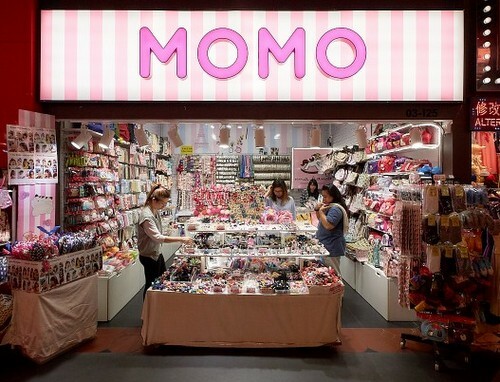 Accessories store MOMO operates within Singapore’s Jurong Point shopping centre, at 1 Jurong West Central 2. MOMO store sells a wide range of accessories from trendy fashion hair accessories to lovable UMA HANA accessories to complement the customers’ style choices. UMA HANA is a popular, high quality Taiwanese brand that features extremely cute & colourful designs that are suitable for people of all ages. Some of the sought after products at the shop include coin pouches, tissue pouches, wallets, handbags, sling bags, water bottle bags, and lunch bags, all sold at budget-friendly prices. Jurong Point mall, where you can find the store from, is Singapore’s largest suburban shopping centre with around 750,000 square feet of lettable space. The mall is anchored by household names such as FairPrice Xtra, Golden Village, Courts, Harvey Norman, plus there are three food courts (Kopitiam, Cantine, Malaysia Boleh) and a number of themed precincts, as well as more than 400 retail and food & beverage outlets.